Are you using the ISSA Value of Clean info? $33 billion facility services industry (United States Economic Census, 2007). It is one of the largest and most dynamic service industries in the world. A study published in the Journal of Occupational Environmental Medicine in 2003 reported that, based on a random sample of 28,902 United States workers, health-related lost productive time (LPT) costs employers $225.8 billion per year, or $1,685 per employee per year (Stewart, 2003). • 21 percent of vending machine buttons. To download the white paper you need to be member of the ISSA. Nose knows different odors, no matter how powerful, thanks to predictable patterns transmitted to brain. Recent research suggests the neurobiological processes of identifying aromas can be broken down into a predictable mathematical pattern. Crushed coriander seeds burst with a lemony aroma. Golden turmeric smells like corn cakes. Cardamom gives off a hint of bitterness. And pulverized cumin seeds smell like moist, peppery earth. Combine them, and you have the fragrant beginnings of curry. But how does a nose, bombarded with odors that arrive in different amounts and combinations, consistently identify each aroma? It turns out that it is simpler than many other neurobiological processes, and can essentially be broken down into a predictable mathematical pattern. 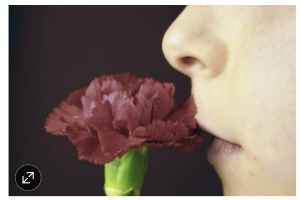 Odors arrive in small packets—tiny bouquets of molecules—that are inhaled. Receptor cells inside the nose respond by producing a series of electrical spikes, which are communicated to the olfactory bulb in the brain, where the smell is decoded. Airx and our odor counteractant Airicide® work on this exact principle. Airicide® links with the foul odor molecule and changes its shape so the mathimathical calculation does not allow the receptors to perceive it as its original foul odor. Good golf this week with the Players Championship finishing up this afternoon. And don't forget its Mothers Day!